Wilson is a professional. The job varies but he uses a tried and true methodology. Well planned and carried out to the letter. With the right connections things go well, usually. When the plan for a large crew diamond heist falls apart, he decides to take it on using a much smaller team. This time it’s a con and it begins with the death of the inside man in a car crash. Is that the whole story? Not quite. 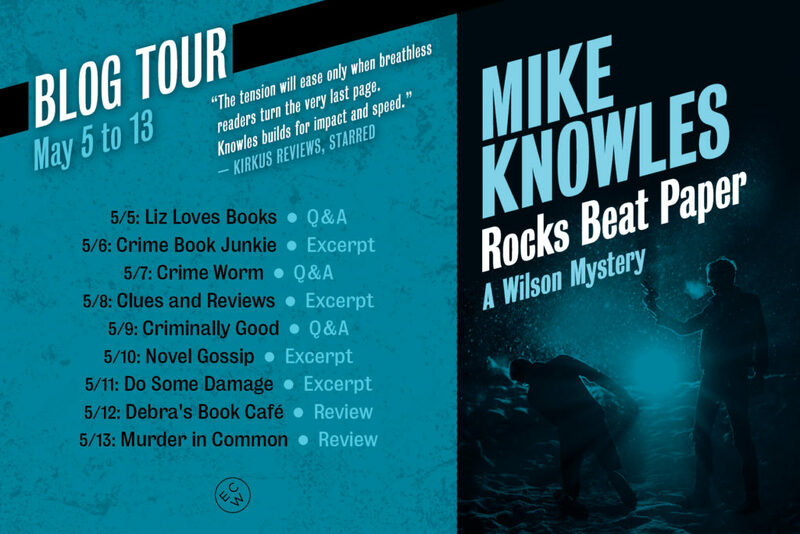 Mike Knowles has written a great heist job. Solid pacing, turnabouts and enough about the characters to keep you interested. This is book six of the Wilson Mystery series and is easily read as a stand-alone. After you read this one, pick-up the rest. Check out the blog tour below for excerpts and a Q&A with Knowles. This sounds excellent. I love clever heists that I can’t figure out.